Water damage can strike at any time. Maybe it’s the slow leak of a damaged roof. Maybe it’s a toilet overflow. Maybe it’s a burst pipe soaking your floors in gallons of rushing water. Whatever the cause and however serious the damage, 911 Restoration is here to help. 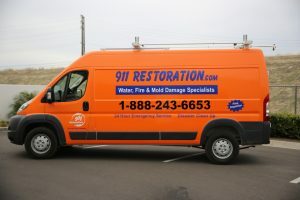 911 Restoration of East Valley takes pride in being an expert, quick-response emergency water damage restoration company. Friendly staff are available to take your call 24/7/365, so you can be sure help is standing by no matter what time of day disaster strikes. You can even count on flood cleanup technicians to arrive at your property within 45 minutes of your call. No waiting around, wondering how bad the damage will get before someone shows up to extract the water and repair the destruction. Instead, you can breathe easy knowing your incident will be managed swiftly, affordably, and with the clear goal of minimizing the damage as much as possible. The water damage restoration experts are also IICRC certified and highly trained to remediate any situation and leave you with a fully restored, better-than-new property. They don’t just manage flood cleanup. They also inspect for mold and can conduct total, professional mold decontamination. The experts at 911 Restoration even assist with your insurance, helping you understand your benefits and filing your claim for you. We don’t yet know what your unique situation is, but we already know we can handle it. From emergency roof repair to mold remediation, 911 Restoration of East Valley has you covered. If you’re dealing with property water damage in Chandler or the surrounding community, call us today for immediate restoration service and immediate peace of mind. From the moment they arrive on the scene, the water damage restoration team works to provide you with peace of mind. In a situation that progresses at the speed of flowing water, peace of mind means quick remediation. Technicians offer a free visual inspection for property owners upon arrival. They protect your belongings by packing and storing anything that has not yet been damaged in the property flood. 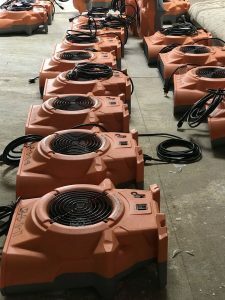 Then they begin water extraction and dehumidification with the aid of professional-grade fans. The longer water has been allowed to sit in your property, the likelier it is that there has been irreversible damage to the structure of your home or business. The water damage restoration experts inspect carefully for water on sheetrock or damage to drywall. They tear out any damaged surfaced, then repair and replace it, leaving your property better than new. They even inspect for mold growth, recognizing the dangers and risks of infestation after a water damage emergency. 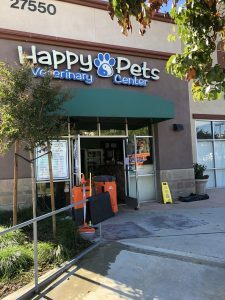 By the time you say goodbye to our technicians, you’ll feel confident that your home or business is not only water-free; it’s also safe from any lasting damages or contamination. In fact, your dedicated team won’t just leave your property better than they found it—they’ll leave it better than you found it. No one wants to face water damage. But if you have to, it helps to know compassionate restoration specialists who will fully renovate your property and make today’s crisis feel more like a new beginning. Call 911 Restoration of East Valley today, and let our water damage restoration techs remind you what “new” feels like. More often than not, water damage leads to mold damage. When you experience a property flood, mold spores in the air only need 24-48 hours to land on a damp spot and produce an entire mold colony. Even if your water damage was nothing more than a slow leak, chances are good that mold has already found its way to that damp, vulnerable spot on your drywall, in your crawlspace, or under your sink. Because the water damage restoration experts at 911 Restoration realize how vulnerable your property is after a water incident, they take special care to inspect for mold. They check all the dark, hidden spaces you wouldn’t think to worry about. If they find mold, they manage mold remediation quickly and safely. Many property owners are tempted to shrug off mold as a harmless inconvenience. They plan to call a mold removal company eventually, just not today. Don’t make that mistake. If mold isn’t removed, it’s bound to cause some structural damage. Mold is also likely to spread to other areas of your property, making mold remediation a more costly effort down the road. Not to mention, some varieties of mold are toxic, and the longer they’re allowed to linger and spread, the more toxins you breathe in. The staff of 911 Restoration of East Valley believes your property should be a place where you can breathe easy. If you call them in to restore your home or business after water damage, you can be sure they’re not going anywhere until your property is in top condition. For emergency service, compassionate professionals, and a Fresh Start, call 911 Restoration of East Valley. Servicing the cities of Chandler, Chandler Heights, Gilbert, Higley, Mesa, Queen Creek, San Tan Valley, Tempe, and surrounding area.